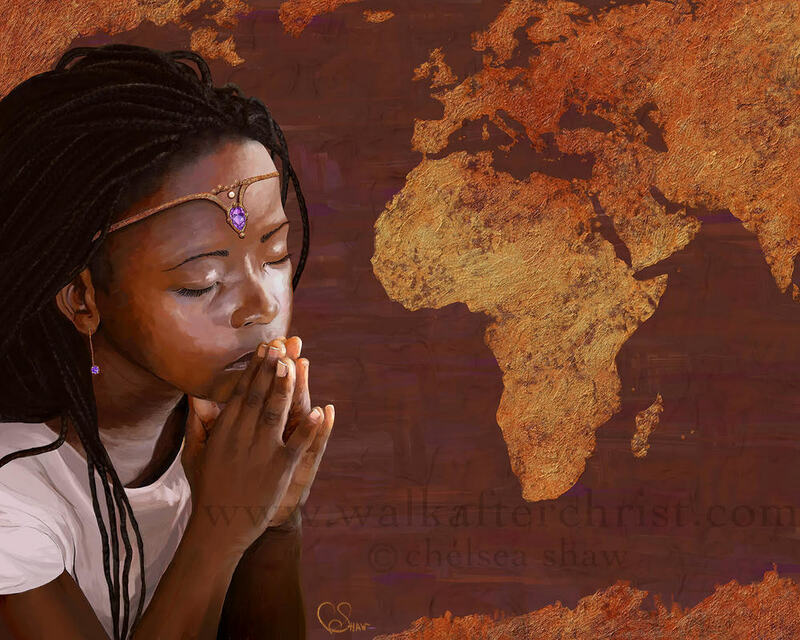 As I sat in intercession over Africa, I felt the Lords heart beating for his beautiful bride. I found myself standing on a firm foundation composed by the multitudes of prayers. Prayers from every nation who have spoken the Lords heart over her. I saw a painting emerging of a child not in rags but adorned and crowned by the Lord himself. As I focused on the crown I could see a pearl which represents the suffering and turmoil of the people. The Lord is bringing beauty from ashes- and all the suffering will be incomparable to the beauty that will be released in and through Her. The brilliant sparkle of a purple Tanzanite caught my eye next. I looked up the meaning of the stone and to my surprise it is very rare and only found in Tanzania, Africa. The purple stone represents royalty and the rarity of what God has done, is doing and will do in Africa. I saw the girl shimmering in the Light of Gods presence soaking in the truth of who she is, full of strength and peace. Sovereign immovable peace that only comes from the King of kings. Help Support our trip to Africa and future missions, click find out more for details.